What Makes the IPS T-Shirts So Unique and Different? Wearing an Inner Picture Stories t-shirt makes you part of something bigger – a force of change, a beacon of light, a messenger of good. Each t-shirt design holds a story and message of light waiting to be spread in your life and to those around you. With each purchase, you can choose at the checkout counter the cause that you would like to support where part of the money from your purchases will be sent. 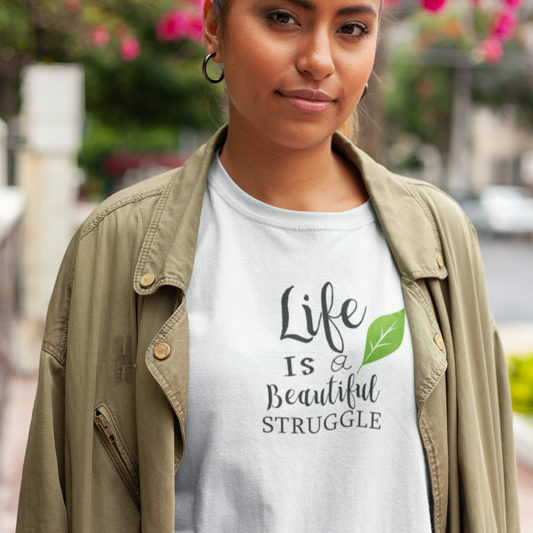 The causes that these shirts support vary from the environment, to animals, to those struggling with mental health issues, suicidal thoughts, loneliness, and diseases such as cancer. To go even further, each cause has been handpicked by Inner Picture Stories, and the founders have all been interviewed on The Inner Picture Stories Podcasts so you can learn more about what each foundation is, gain insights into their wisdom, and their primary goal of why they do what they are doing. The people behind each good cause have all been guests on The Inner Picture Stories Podcast. Listen to their interviews to learn about their wisdom, and get a more in-depth look at who they are and their positive motives for the change they want to bring to the world and the lives of others. More good causes will be added in the future. My Survival Story is a platform to help shine a light on those currently facing cancer by bringing inspiring stories of cancer survivors. The platform was created by Martin Inderbitzin, a neuroscientist and pancreatic cancer survivor. The Mental Illness Happy Hour, hosted by Paul Gilmartin, is a weekly podcast that explores mental illness, trauma, addiction, and negative thinking. Listeners describe it as “entertaining, comforting, honest, helpful and funny”. Listen to the full podcast interview with Paul Gilmartin, founder of The Mental Illness Happy Hour. Yes, we do! Please allow 1 week for delivery. How much of my money will go to the cause and how do I know my money does indeed go to them? That is a fair and important question to ask! Five euros from each t-shirt will directly be donated to the cause or foundation you choose. Once you place your order, you will receive an email from us with a screenshot showing 5 euros of your money being donated to your chosen cause or foundation, with your name next to it. We care about making a change here at Inner Picture Stories. And we care about you. However, words are indeed easy to abuse, so we understand and appreciate the question. Why 5 euros and not more? The reason for that is because Inner Picture Stories works with a printing partner that naturally takes part of the money for creating the t-shirts, printing the designs, packing, and sending it to you. To keep the price of the t-shirts at a fair cost for you, and since Inner Picture Stories needs to keep running as well, 5 euros seemed like the reasonable middle ground. You may notice an off-white residue and vinegar smell on your apparel. This is from a fixation agent that’s used in the DTG printing process. Fixation agent is used by print-on-demand services across the entire industry; it’s a primer that fuses ink to the fibres of the garment. The fixation agent can sometimes leave a faint residue and strong vinegar scent. This isn’t permanent – the residue and scent go away after one wash. If the discoloration is prominent, we include a card in the package explaining that it washes out.